Join the KNBA Community Advisory Board! KNBA has openings for new members on our Community Advisory Board. The C.A.B. provides community feedback on the stations programming, service to the community, service to our Mission and the advisory board assists with fundraising. A brief explanation why you would like to serve on the KNBA Community Advisory Board. In April of 1995, the Board of Directors of the Koahnic Broadcast Corporation established the KBC Community Advisory Board. 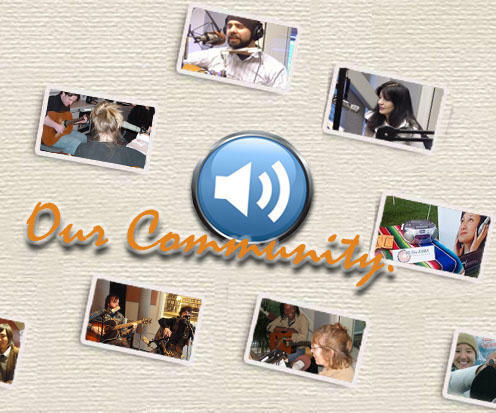 A Community Advisory Board (CAB) is required for each public radio station to comply with the Public Telecommunications Financing Act of 1978 and the Alaska Public Broadcasting Commission regulations. These Policy and Procedures were developed and adopted by the KBC Board of Directors to assist the KBC Community Advisory Board in it’s important role to Koahnic Broadcast Corporation. 2. Advise the KBC Board of Directors with respect to whether the programming or other policies of KNBA are meeting the specialized educational and cultural needs of the communities served by KNBA. 3. Make such recommendations as it considers appropriate to meet such needs. The KBC Community Advisory Board is solely advisory in nature. The KBC Board of Directors may, if it so desires, delegate other responsibilities to the CAB which may or may not be advisory in nature. However, in no case shall the CAB have any authority to exercise any control over the daily management or operation of the station. 1. All CAB meetings shall be open to the public. 3. A majority of the CAB shall constitute a quorum. 4. If the Chairperson is not present, a temporary Chairperson shall be nominated from and selected by consensus of the membership present, for the duration of that meeting. 5. Any action taken at the CAB meeting which is not a public meeting shall be considered void. 6. All meetings will be preceded by reasonable notice on KNBA 90.3 FM to the public. In accordance to the Public Telecommunications Act of 1978, the KBC Board of Directors shall undertake good faith efforts to assure that the composition of the CAB reasonably reflects the diverse needs and interests of the communities served by KNBA, and the majority of the members will be minorities. 1. The CAB shall consist of ( 9 ) members maximum who shall be elected by majority vote of the KBC Board of Directors. 2. The term of membership shall be arranged in three staggered sets of three-year terms. Two-year terms may be used until the staggered terms are achieved. A member shall serve any number of consecutive terms. 1. Written resignation by the member to the KBC Board of Directors. 2. When a member moves away from the service area. 3. When a member, because of a change in job or other position, can no longer reasonably reflect the need or interest for which he or she was selected. 4. Majority vote of the KBC Board of Directors for compelling and sufficient cause, if such action is recommended by the CAB. 1. The KBC Board of Directors, upon receiving written recommendation from the CAB, shall appoint the CAB Chairperson. 2. The Chairperson term of office shall be one year and may be re-elected annually. 3. It shall be the duty of the Chairperson to preside over all meetings of the CAB, and to report the activities of the CAB to the KBC Board of Directors.